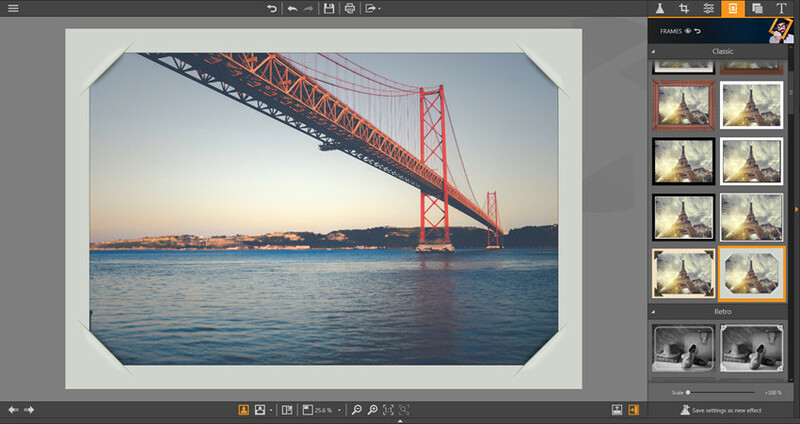 In this guide, we’re going to introduce how to add frames to photo with the help of Photo Editor in detail. Step 1. 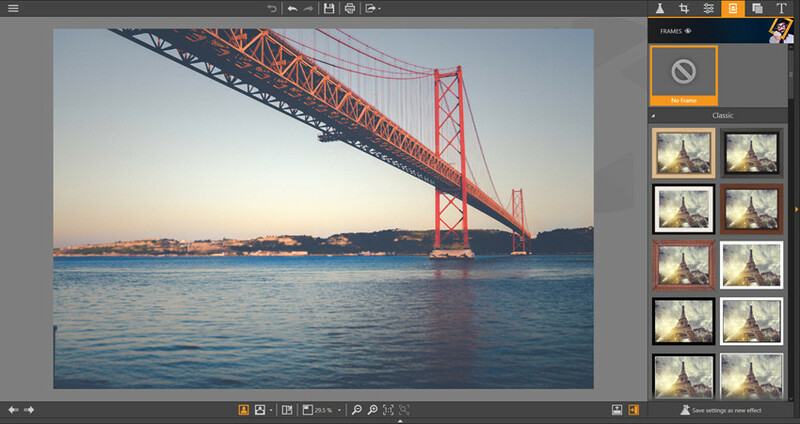 Start Fotophire Editing Toolkit and add photo to the program window. Then you’ll find the panels at the right side of the interface. Now click the Frames icon to enter Frames panel. Step 2. 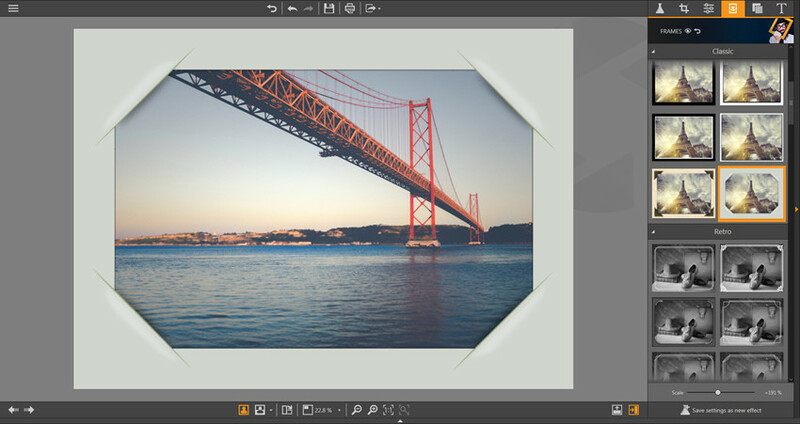 Select a frame for you photo, and you’ll see the preview directly in the program window. Step 3. 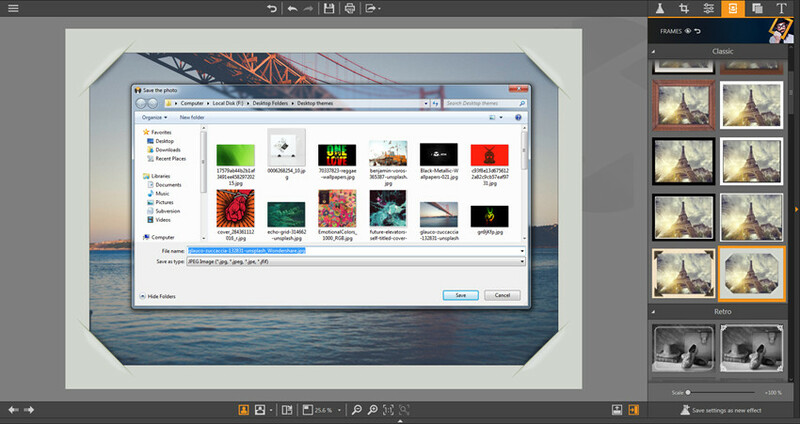 If you’re satisfied with the frame, you can click the Save button at the top middle of the program window to save the photo to your computer. You can also scale the frame if you want to make the frame bigger.